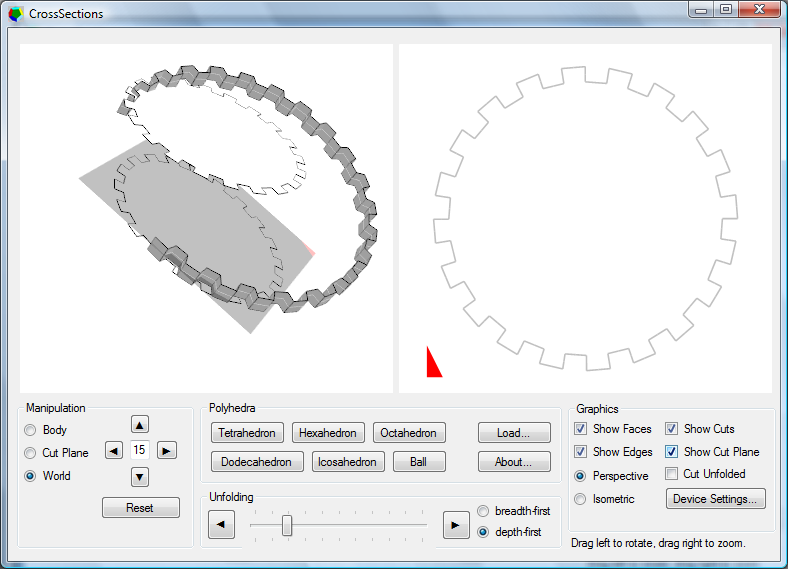 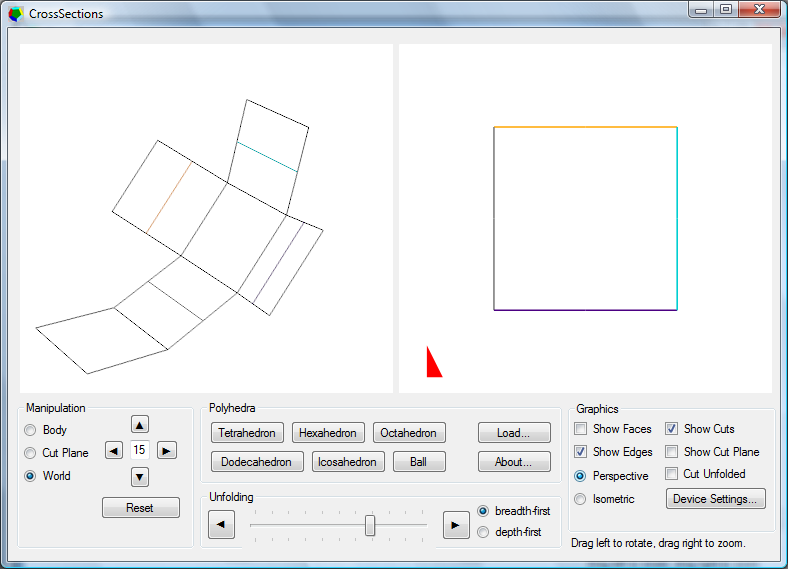 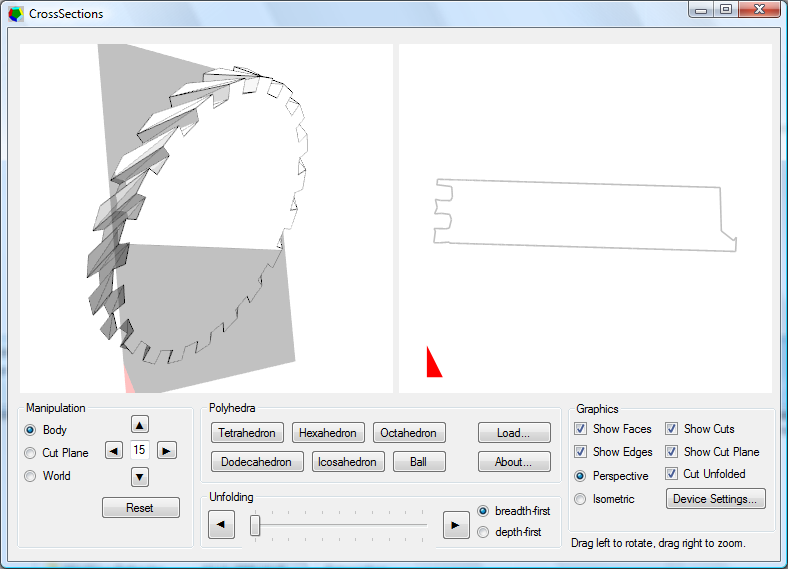 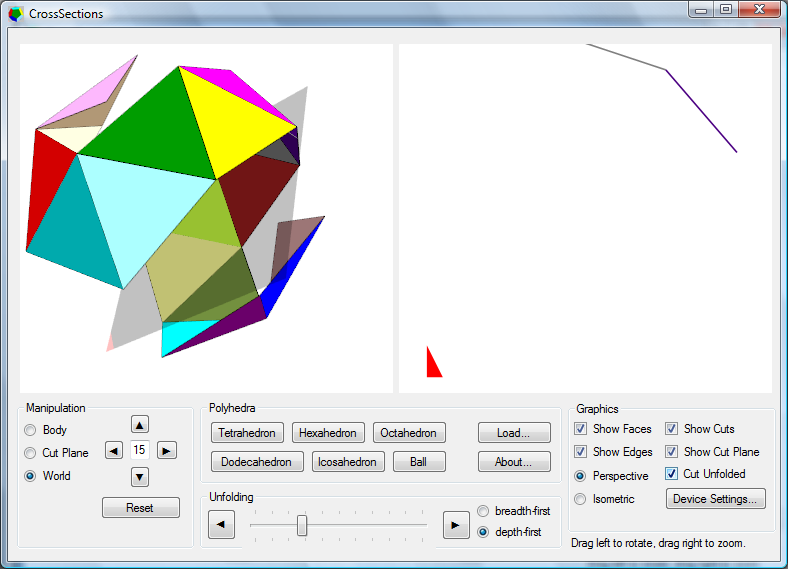 CrossSections is a program that visualizes polyhedra and their cross-sections with a plane. 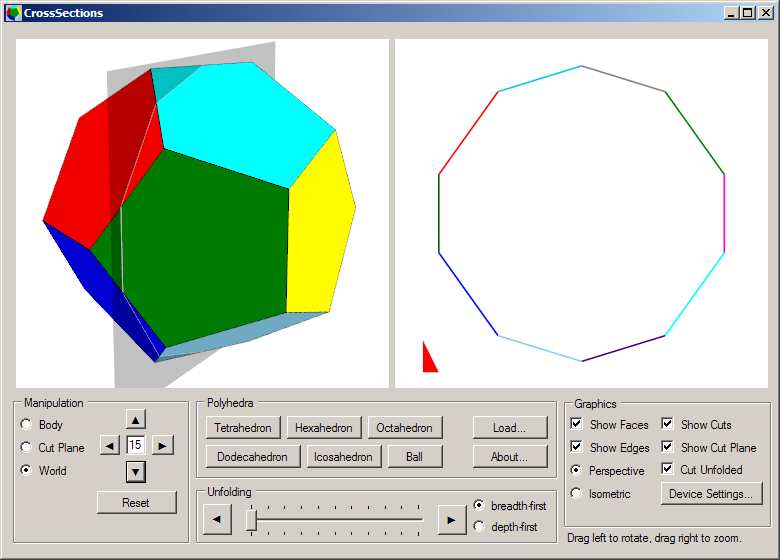 It also features unfolding those polyhedra to form a lattice. 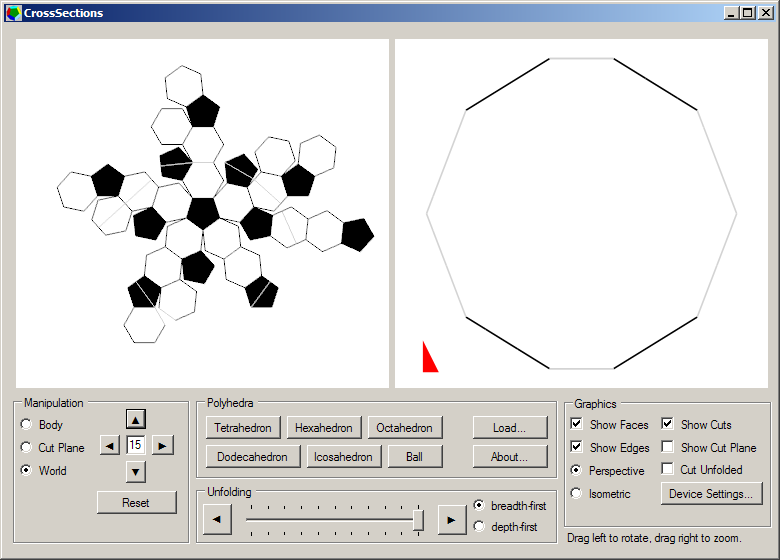 Version 1.1.1.0 is available for download (5 MB).